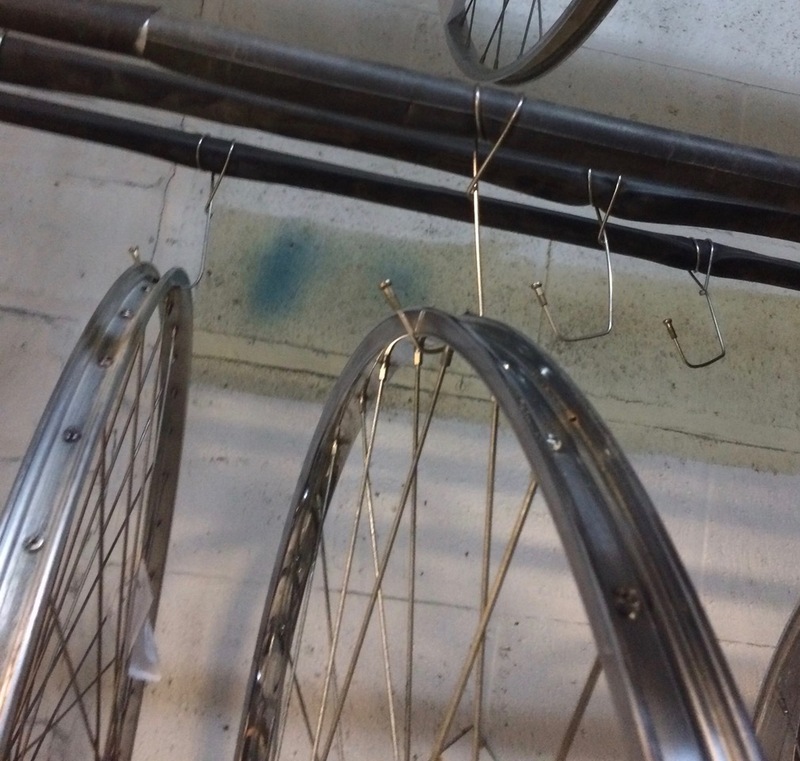 We have a system for storing wheels that utilizes pipe and a bent spoke. The top part is latched around the pipe and the bottom part hooks around the rims. With this system you can slide the wheels to better view them. Also, it also is pretty cost effective with essentially free spokes and low cost black iron pipe or conduit. > We have a lot of wheels on hand, some ready to go, others needing bearings or truing, and still others piled up. We hang some from ceiling using hooks, and have tried a rack to hold them. The problem comes when people just set wheels on the floor in front of the rack, or pile them in. We need to find an efficient way to store them. I'm leaning towards more hooks, but wonder what others do to manage wheel inventory. > connected city by making biking and walking safe, equitable, and appealing.